As the well-known saying goes, “first impressions are everything”. From the entrance to the exit, the exterior of an apartment community should draw in potential residents through its lush landscaping and well-kept buildings. At Lincoln, we pride ourselves on creating an environment, both inside and out, that caters to your unique lifestyle. Take a look below at some of the communities who won the Lincoln Legendaries Award for Best Curb Appeal. This national awards program recognizes and celebrates select communities across our portfolio. See why these communities are “legendary” and get a few ideas for updating the surroundings of your community. Low-Maintenance Landscaping: If you have large areas of greenery, be sure to keep them bright and colorful to catch someone’s eye as they drive by, such as the large flower displays at Mansions at Delmar. Consider adding accents such as benches, flowering trees, or a water feature such as a small pond or low-flow fountain. Another option is to define walkways with spring flowers as an easy and affordable way to guide residents in the right direction, whether it’s to the leasing office or to visit a friend in another building! Easy-To-Read Signs: Even as we move forward in this digital age, drive-bys continue to be one of the biggest sources of traffic for a apartment communities. Be sure to have well-marked, easy-to-read signs around as they are extremely valuable to both current residents and potential residents exploring the property. 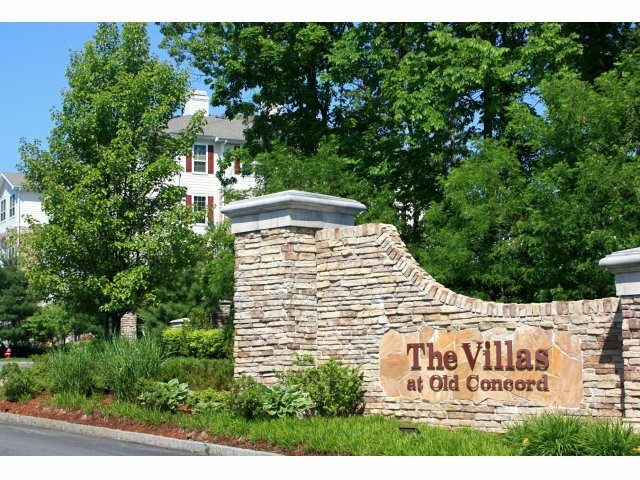 Putting up bright signs that reflect the property’s personality and branding is a simple and effective way of advertising your community. Bright Lights: Take a look around the property during the daylight hours, as well as at night to see what outdoor lighting needs a new bulb or two. Make sure walkways are well-lit so residents feel a sense of safety and security. 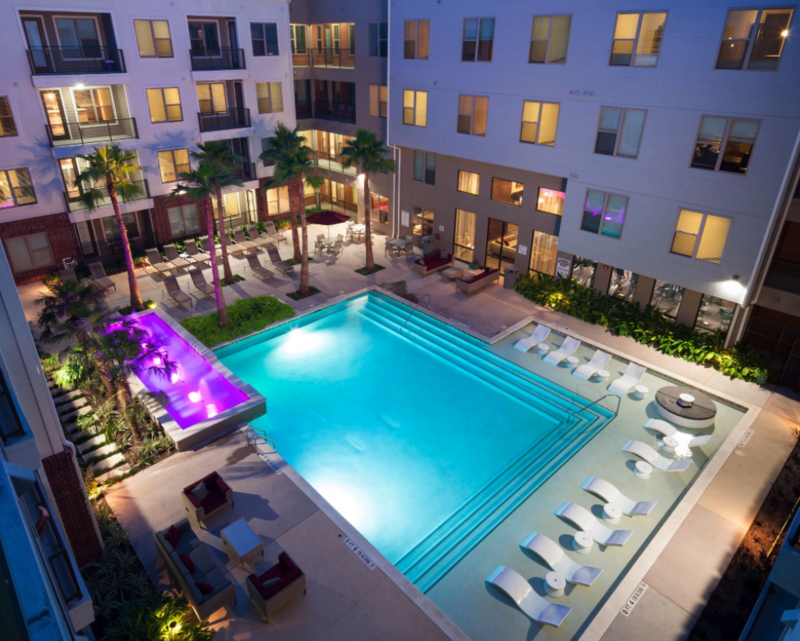 In addition to keeping highly trafficked areas bright after sunset, specifically place lights in areas that will highlight certain architectural features of the property, such as the lighting around the pool at H6 Apartments in Houston, TX. Garbage/Recycling In Common Areas: A few times a week, make it a point to stop by the community garbage and recycling receptacles in the common areas to make sure they are tidy, as shown at Mansions at Delmar. Especially if this area is visible from the street or during a walking tour of the community, it’s important to make sure the dumpsters are not overflowing with garbage or recyclables. Making a small effort to keep these areas neat will show potential residents how much the staff cares about the community, as well as the environment. 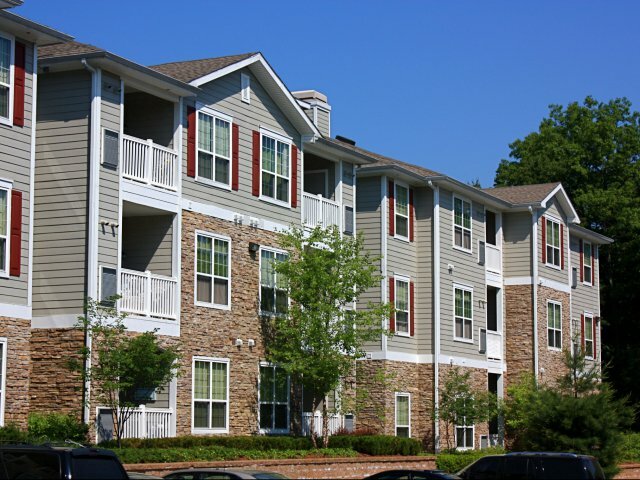 It doesn’t need to be time-consuming or costly to improve the curb appeal of your apartment community. Making a small change like any of those mentioned above is a great way to keep current residents happy, while showing potential residents why your apartment community is a great place to live! 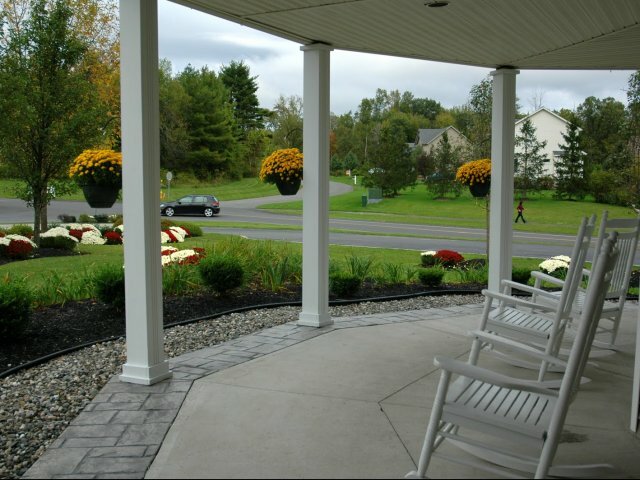 To learn more about improving your curb appeal, contact us today!